Sue has been working with dogs since 1974 when she acquired her first dog, a Great Pyrenees. Sue Bonness was a remarkable individual, who dedicated her life to animals, especially dogs. It all can be traced to her first dog, a Great Pyrenees, which she became to mother to back in 1974. Simply training her own dog wasn’t enough for Sue, she felt a strong desire to share her passion with others. In 1985, she became the director of a local AKC dog club. Her learning never stopped, as Sue educated herself on knowledge on the newest and most effective, modern information and techniques on canine behavior and dog training, she was selfless in her passion. While improving the relationship between dogs and their parents, she achieved numerous personal goals, such as earning over 50 performance title in multiple venues, including the highly acclaimed AKC Obedience Trial Championship. Ruffgers was blessed to have Sue as part of our family. 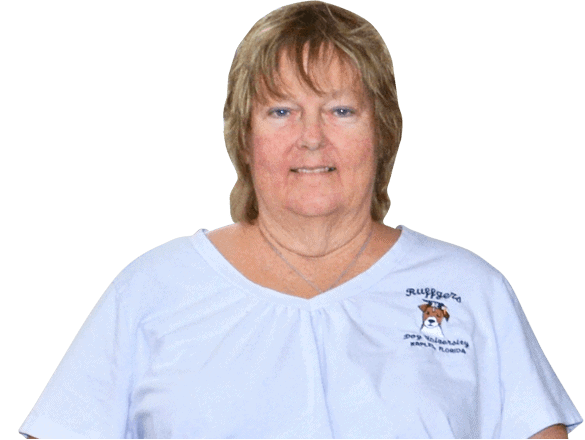 With over 40 years of experience, Sue changed the lives and relationship of countless dog parents throughout Southwest Florida. When the Ruffgers family looks into the eyes of our four-footed friends, we know part of Sue is looking back at us. You can stop by anytime at our Naples location to visit Sue’s memorial. We love and miss you, Sue.